Buy A Lion's Heart a Coffee. ko-fi.com/alionsheart - Ko-fi ❤️ Where creators get paid by fans, with a 'Buy Me a Coffee' button. We are a registered nonprofit working to save abandoned, abused, forgotten, and even war torn zoo animals throughout the world. When there is no hope, we hope to be that hope and light for them. Our current mission is Taiz Zoological Gardens in Taiz, Yemen. We are the only support to the almost 300 animals, including a population of critically endangered Arabian leopards, trapped there. Welcome to my Ko-fi Page. If you would like to help the Taiz zoo animals, please consider supporting what we do. 100% of your donation goes directly to the animals trapped in Taiz zoo. Thank you. Secured Payments. 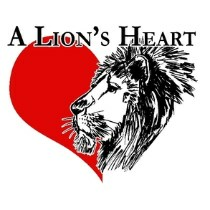 Support goes to A Lion's Heart's account.